At Leap Clixx we truly believe that our clients make us who we are. We value our relationships with our clients and strive to provide a personalized experience for each one. Although we would love if you took our word for it, we understand your skepticism. 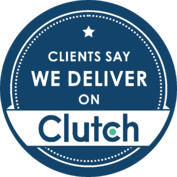 That’s why we invite you to read real testimonials collected independently by Clutch.co. We hope you will give us the opportunity to add you to the list! When we came across Leap Clixx, we were getting visits to our website in the low hundreds on a daily basis. We’re now getting 6,500 visits a month. We were generating no business at all online and we’re now generating approximately 15% to 20% of our direct business online which is a big change for us. Of all of the things that is praiseworthy about Leap Clixx, their service levels stand out to me. It was extraordinary. Their communication with us was fantastic. They’re very thorough. They take the time to understand our goals and make recommendations.The people at Leap Clixx were very tactful and outlined what they recommended we do instead. They tried to protect us from spinning our wheels on things that really don’t make sense. That’s how it’s always been with them. Instead of just taking our money and doing things to our website, they wanted to first test the value in our market. The site’s visits, leads, and hits have all exceeded last year’s metrics for the same month, emphasizing Leap Clixx’s on-trend strategies. Their detailed reporting, clear explanations, and consistent industry direction contribute to an effective partnership. Leap Clixx has produced some promising, measurable results quickly. We now have a lower cost per acquisition and a higher qualified lead rate. They came up with creative ideas to minimize spend but still have a marketing impact. Our client acquisition cost was roughly $27,000 per client before we started with them. This channel alone is blowing that out of the water. We are getting a few clients a month, and our average budget is only $4,000–$5,000 a month. We’re still landing clients well below what we would expect our client acquisition cost to be. They’re doing something right.